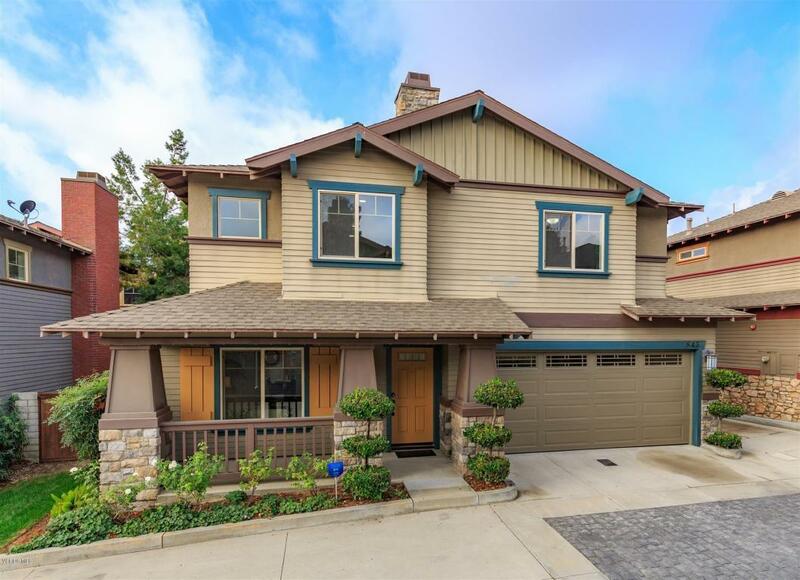 Nestled in Monrovia is this beautiful Craftsman style home. This house features 3 bedrooms and 2.5 baths. As you enter the house, you are greeted with vaulted ceilings, a fireplace and beautiful built in bookcases. As you walk through the dining room and into the kitchen, you will find stainless steel appliances, granite counter tops and a downstairs powder room. Upstairs are 3 bedrooms with ample space, including the spacious master which has a walk in closet, double sinks, and a large soaking tub. As you venture outside, you will find a private backyard and additional storage space in the two car garage. You don't want to miss this adorable community with parks and a BBQ area in close proximity.